If you’ve played Monopoly, you’ll recognize the streets, but fans of the famous board game aren’t the only ones who want to stroll along “Boardwalk” – the city’s beaches and its famous wooden walkway have attracted millions of visitors for more than a century. While many visitors come just for the casinos, which had revitalized Atlantic City in the late 1970s after decades of decline, if you never set foot on the beach it’s fair to say you’re missing the whole point. Today, scheduled flights account for less than 20% of total aircraft operations. 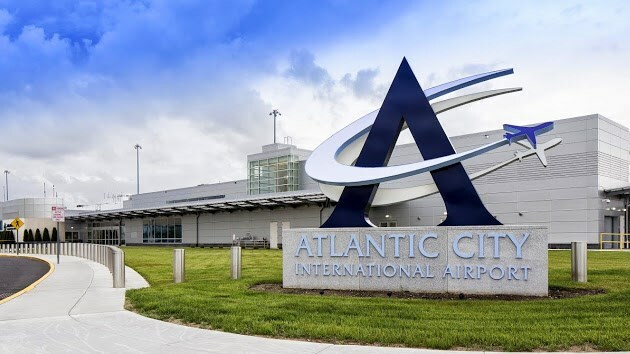 The airport stays busy, however, thanks to Atlantic City maintaining its position as a popular hub for private jets and general aviation, especially helicopter charters within the Northeast.